Tell me something… who protects your neighborhood? I know what you’re going to say, the police are always on duty! That may be so, but who do you trust more, He-Man with his super strength and pointy sword, or trained police officers with guns and body armor? I think you know the answer. 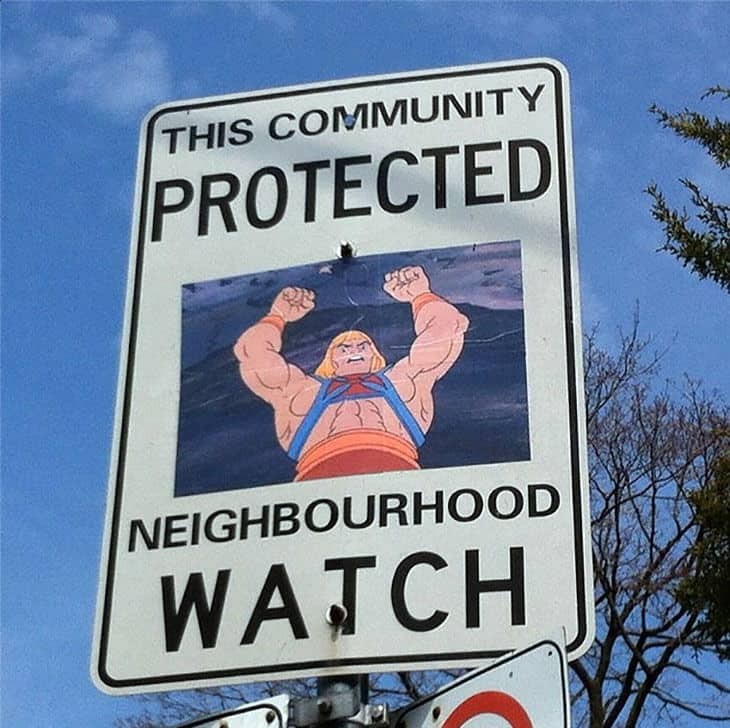 And it’s not just He-man doing the neighborhood watch on the streets of these Toronto, Canada, communities. They’ve got a whole crew of talented people looking out for them, and this “vandal” was kind enough to plaster their pictures up for everyone to see. As a random Internet stranger said… vandalizes? I think you mean improves. I happen to agree with him. I hope you enjoyed these as much as I did, and oh… if you happen to know who came up with these, or even what the original source was, I would love to hear about it in the comments below. I truly have no idea from where these came!